We’ve been camping the last few weekends and the kids are outside constantly. 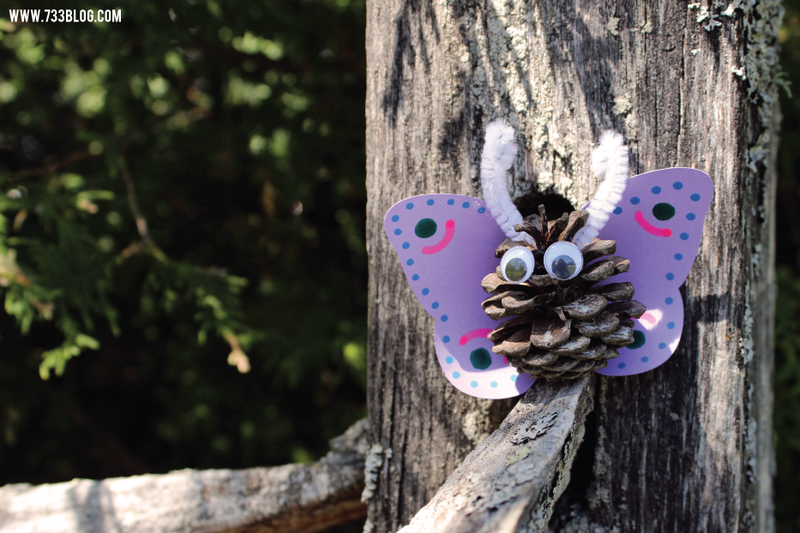 This past weekend they found some pine cones, so we brought them home and ended up making some pretty cute Pinecone Butterflies! These are super easy to make and are lots of fun for the kids to play with. 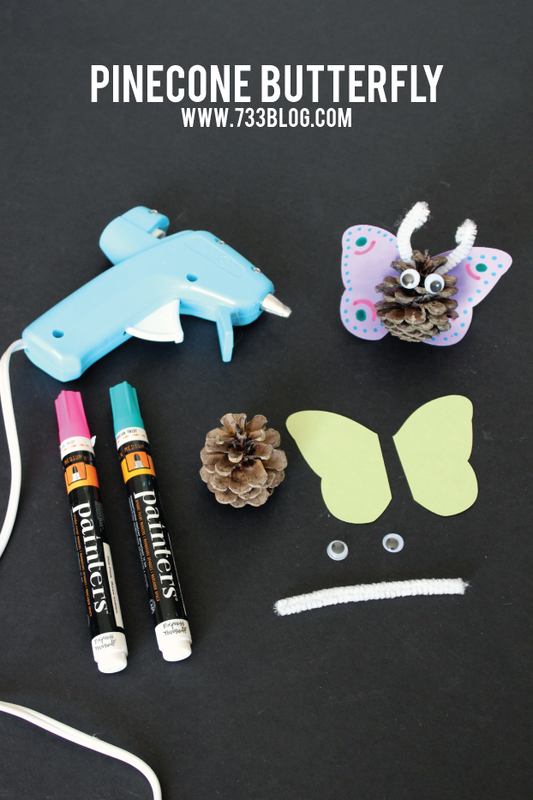 And of course it doesn’t HAVE to be a butterfly – you can make just about anything with these! Cut out some wings from cardstock and decorate them. Hot glue them onto the pinecone. 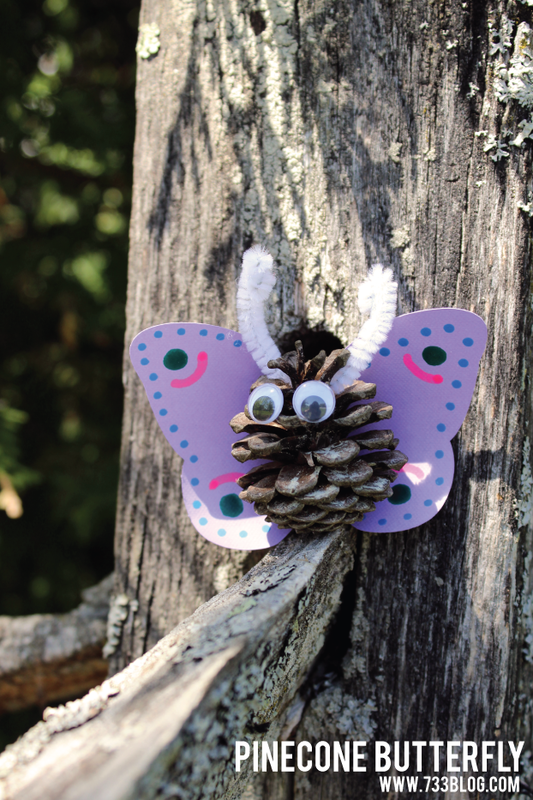 Cut a small length of pipe cleaner and twist them into antennas and hot glue onto the top of the pine cone. Hot glue on some google eyes and you are done!